With this drawing I drew some basic structural lines in pencil and then worked directly in ink. It’s an abstract picture really. I’ve used the comma shape a lot before in the past when I was painting in contemporary acrylics. So it was lovely to see how it looked in a completely different type of picture. I’ve also decided to give myself a bit more time each week by rolling the three posts I normal put up each week into one weekly post. I want to still paint and draw just as much and then blog about it on a weekly basis. This painting began as a relaxed bit of sketching while I was waiting to collect my son from school after his band rehearsal. Then I painted it with watercolours using them as strongly as I could to get some really bright colours. I used a restricted pallette of mainly yellow red and blue, although I did diverge a bit from this adding some purples and oranges too. Then I painted the city and the swirls in the water with gold coloured acrylic paint. It’s quite hard to show you what it finally looks like because, neither the scanner nor the camera can pick up the shiny reflections you get from the gold paint when you just look at the picture normally. My next plan was to make my own facial expression drawings based on Mark Crilley’s guidance but using my own made up Manga character. Also, while working on this I was reading the early chapters of ‘Bakuman’ – a Manga series about two lads who decide to become Manga creators. I got to the bit where the artist in the pair decides to work with nothing but a G-pen (which is a kind of dip pen with a nib very commonly used in manga called a G-nib.) I thought this would be really cool to try. So I had a dig around and found an old Italian dip pen and a flexible calligraphy nib which works well and very much like a G-nib. Then I drew the sketches on Bristol Board (because the ‘Calli’ Calligraphy ink I’m using bleeds around each line in my notebook) and inked them with the dip pen. At first it was really difficult to use the dip pen. Line pressure needed to be controlled as well as direction. My lines were noticably wobbly, they didn’t have a good shape and they took ages to dry. Lucky for me there were twleve pictures to do, so I managed to have a good practice. By the end of it I beginning to find my way into occasional good lines. Even though I’m only beginning with this, I prefer the look of the dip pen lines to the multiliner. The biggest problem I had overall with this method was that they took 2-3 hours to dry where the lines were thick. At the moment I can only really tell the following facial expressions – OK (plain face), angry (shouting), sad(crying) and happy(laughing). I was going to look into the ones depicted rather simplistically in manga to see if I can learn to recognise a few more in real life. However I’ve since found out that, for instance, the confused manga look isn’t that close to what most people do on their face when they are actually confused in life. So I’ll just go on enjoying manga! So in the last few days I’ve been working on drawing facial expressions in manga. It’s something I’ve been avoiding for years. When I paint or draw people I like to draw them with a plain face – no particular expression. If I can, I prefer even more to paint people with masks on. This is because (1) I think masks are really cool and (2) I don’t have to engage with any facial expressions at all. Facial expressions are one of those things which I find really confusing because of the autism. I can’t decode what all of them mean, especially at the time. If I could constantly record the expressions people make and then go back and analyse what I see with the help of someone who can read this stuff, I think I could come up with an algorhythm to predict facial expressions, but I can’t record people like that. To learn other bits of social interaction I have in the past recorded many complete series’ of an Australian programme called ‘Nothing to Declare’. 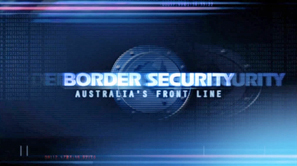 It’s about the Aussie border protection services. I have used this programme to learn a lot about social interaction. I like it because the customs chaps say straight-out what they see in a person’s behaviour and what that means to them. They also model an assertive but fair and compassionate approach to interaction which fits with my faith and values. Once they’ve explained a bit of behaviour and ‘decoded’ it for me I can spin the recording back a bit and watch it over and over until I can remember it. Then when I see behaviour that fits what the customs people described, I can think about using some of their responses. It has helped me to deal with more difficult situations a bit better. I drew them in pencil, then inked them with my multiliners and then added shading in pencil. I’ve been playing around with steampunk on an off for a couple of days in the last few weks. This is the picture I was working up to making. It’s still not perfect but it’s beginning to be more like I want it to be. I’ve put in some sky and water and a bit of the base colour for the embankment. I’ve added some colour for the Houses of Parliment across the river. More work on the background. I am trying to keep the colours and tones a bit muted to make the foreground stand out. Done the coat and mechanical bird. Then, after a lot more thought, because I really like ink drawings as they stand, I coloured it using watercolour. I did it mainly, I think, because I need the practice. At school when we ask the children to evaluate their work we ask them to think of ‘two stars and a wish’ which means two things which are good and something to work on. So, if I were to do that here I’d say, I like the ink with pencil work I’m doing, I like my attempt at reflections on the table and I wish I could paint with watercolour in a way that I like. I had a go at drawing a famous American. Despite the fact that I didn’t get this quite right – can anyone guess who it is supposed to be?